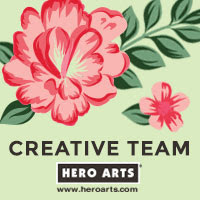 Hello there, today I have post over on the Hero Arts Blog and You Tube Channel. One layer cards can often be perceived as being a bit boring, so I am sharing a few tips with you on how to make them a little bit more exciting! For the full details on the cards, please do pop over to the blog post. You can see the video directly over on the Hero Arts channel HERE. I hope you like them! Thanks so much for visiting me today. I hope you have a great day! Did you cover the inside of the card to hide the Coptic bleed-through? Also, when I made my last circle card, I just cut a sliver from the back of the card to give it a flat bottom, but kept the round shape to the front. I always love a round card (makes a really nice change), and these offset images are perfect for this shape. 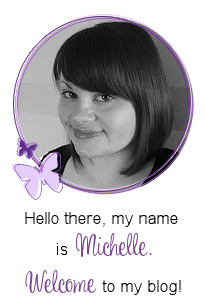 Beautiful colouring too Michelle, super pretty! Stunning cards, the colouring is superb - as always!